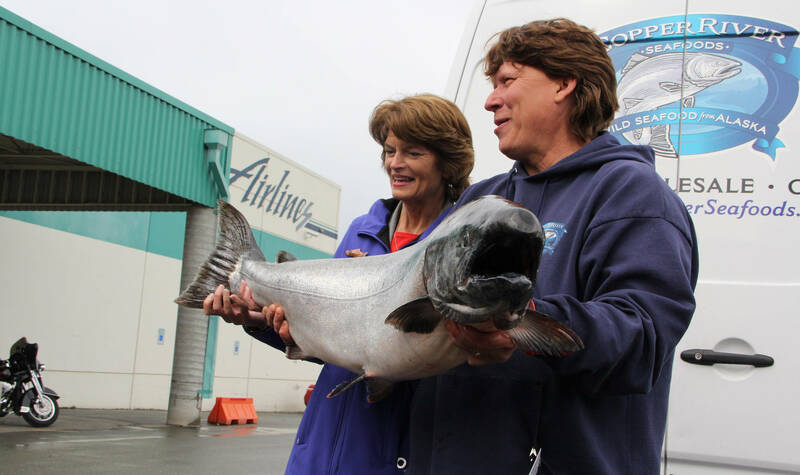 Commercial fishing managers in Prince William Sound are planning to continue opening the fishery, despite concerns about low king salmon returns to the Copper River system. In the first two commercial fishing periods of the season on May 18 and May 22, salmon fishermen brought in about 3,600 king salmon, according to Alaska Department of Fish and Game in-season harvest summaries. The first wild-caught king salmon of the season, the fish garnered a record-breaking $50 per pound in the Lower 48, where they arrived late last week. However, the low preseason forecast led to a complete closure of sportfisheries on the Copper River drainage for king salmon and led to a restriction on retention in the subsistence fisheries. The Fairbanks Fish and Game Advisory Committee petitioned the Board of Fisheries to find the situation as an emergency and take action to restrict the commercial fishery to conserve kings. However, the board declined to take up the petition on May 17, saying the commercial fishing managers had enough tools to manage for the low run. The harvest of kings so far is above what the managers expected, indicating that the preseason forecast of 29,000 kings — only about 4,000 fish above the 25,000 minimum escapement goal — could have been low, according to the Wednesday fishing update from the Cordova office. Salmon gillnet fishery area management biologist Jeremy Botz said the managers plan to maintain a conservative approach to openings. The next commercial fishing period is set for Thursday, May 25. The 4,000 harvestable king salmon above the escapement goal isn’t a hard and fast number for the managers; the high harvest in the first two periods, despite additional time and area restrictions, may mean that the run is larger than forecast, he said. Commercial fishing managers need to provide openings for fishermen to harvest sockeye salmon, the primary target species in the area. In the first two periods, commercial drift gillnetters harvested nearly 88,000 sockeye, according to Fish and Game data. However, the king salmon run will peak soon, and a set of low tides will make the fish more vulnerable to harvest, so the managers will account for that in their decisions on how to prosecute the commercial fishing periods, Botz said. “We’re also approaching peak run timing for Chinook, and also some additional peak tides that are going to move some extra fish into the river,” he said. The managers cut back the hours for the Thursday period from 12 hours to nine hours, lasting from 11 a.m. to 8 p.m., and kept the inside king salmon conservation area closed. The delay in the morning time will be to account for the low tide that makes fish more vulnerable to harvest, Botz said. Subsistence harvest is open in concurrent areas and times with the commercial fishing areas, according to the commercial fishing announcement.